Time for the Great Race. No limit to the size of aircraft or power, no limit to crew size, no pilot to join aircraft after it left England. Aircraft must carry three days' rations per crew member, floats, smoke signals and efficient instruments. My own entries coming soon. The Royal Siamese Air Force will enter a modified Fw 42B-1. This is the same aircraft planned for entry at the 1934 Talons over Cordoba competition; following ToC it will be shipped to England, its armament will be removed and replaced with a fuel tank, fresh engines installed, the tail gunner's position will be faired over, and fuel tanks will be installed in the bomb bay. F/O Suan Sukhserm will be the pilot, while Flt Lt. Chan Nuat-Kheo will be aircraft commander. Brazil doesn't sponsor a governmental entry, however EMBRAER will enter the third prototype EMB-35. Powered by a 900hp Pratt & Whitney R-1830-64 Twin Wasp, the pilot and navigator will be announced at a later date. Just thinking that if Canada were to order that horrific Focke-Wulf aircraft, they'd probably end up calling it the "hockey stick". I guess if the race is making a stop in India, I ought to think up an entry. When the time comes, KLM Airlines will submit one of the Fokker XXXVI airliners. 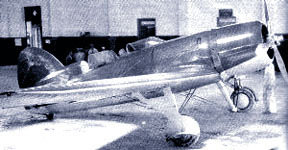 While the first plane had problems with mud jamming the spats, and with the townsend cowlings, these have been corrected in production planes. With the large dunlop tires providing excellent flotation, they have proven satisfactory. The Netherlands Air Force will enter the T.V. The Dominion of Canada is considering submitting the Airship Pegasus, pending evaluation of her acceptance trials. Another consideration will be a prototype Avro Canada CB-100 "Buzzard" (A development of the CT-100 "Gelnika" with a streamlined and reduced fuseluage, intended as a Multirole (Recon/Bomber), long-range aircraft). Douglas Aircraft of Santa Monica will enter one of its new DC-3 airliners, while Boeing will enter one of its new Model 247's. Detroit-Lockheed will enter its new L-10 Electra, to be flown by Ms. Amelia Earhart while Miss Jacqueline Cochran will be piloting a Northrop Gamma-2G. These are the major entries, I'm not listing all of them since historically there were a couple dozen US entries! I'm not sure if that includes US aircraft flown by other countries' pilots, like the KLM DC-2. Douglas Aircraft of Santa Monica will enter one of its new I'm not sure if that includes US aircraft flown by other countries' pilots, like the KLM DC-2. I decided to sidestep that one with the intent of letting the Wesworld home country field the aircraft. The F.36 was ordered by KLM for the Amsterdam-Batavia route (never used for it OTL) so I'll use that instead of their DC-2s. Italy enters the Savoia-Marchetti 79quater. It was originally a prototype in late 1932/early 33 with Isotta-Fraschini Asso engines. However the situation changed and its been lying around for a bit. It'll be brought up to race standard with some more fairing and removal of armament. THe engines are extremely reliable if not a little thirsty. Extra tanks in the bombbay will take care of that but will raise the take-off weight considerably. Swampy, see here for your stats and more pictures. I can't say that its a particularly attractive aeroplane. What no Wiley Post and his high altitude Vega? I assume the Boeing 247 will be flown by Roscoe Turner? Looks like this Race will be eventful...I will be pulling names from a hat for engine failures, wreaks, sabotage, and the like. 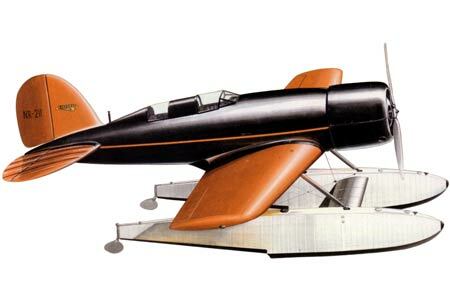 CAC will enter a pair of specialy modified Lockheed Sirus. I might be adding a few random planes just to make things more interesting. Gavin, are those historical stats for the SM.79? They're greatly different from the single source I have on hand (435 kph and 1,900 range respectively). I'm just not sure how reliable this book is. Note also that Awali Brothers are entering a souped up Toofani C bomber, notable for its increased range and, more visibly, the garish orange and black checker pattern adorning the entire aircraft. Pilot-Lieutenant Arun Bedi commands this aircraft. Looks like the US is behind in aircraft technology. That will make the B-1 Condor a DC-2 variant. (but not a B-18 Bolo!). Have to change the specs for it then. I noticed that; Siam ordered DC-2s about a year ago (or at least it seems that way ) so I think they (and the B247) aren't quite that new. Its not the historical design. Its a heavily modified version with Isotta-Fraschini Asso engines (1800hp, bear in mind they are 57L behemoths and weigh loads. Thats 31hp/L which is common -> low for the period). Then the airframe is considerably overloaded with MTOW up to 14000kg from 10500kg so it limits airfields its possible to take off from and makes handling worse. I'd expect a prang on landing or take-off. Atlantis will enter a modified Spartan B-1 Vanquish as well as an Accrisius design. Pilot will be millionaire Gustaf Brenner - a self-made man who got rich over diamonds. The plane is "a man&acute;s toy" to him. With him will be two mechanics, Alfred Humpel and Paul Costey, and a navigator, Raymont Brugger. The plane is powered by two 620hp 10-cycl-engines and can reach a cruise speed of 440km/h. The DeBroek Aircraft Company will send one of its testplanes, the FD-2. It&acute;s a prototype heavy fighter/light bomber. Powered by two 12-cycl-engines of 1250hp each the plane is expected to have a cruising speed of 500km/h and a max. speed of 580km/h. For the race her turret will be removed. Her crew will be test pilot Cpt. Henry Johan, navigator Thomas Kogg and mechanic Benjamin Kleber.